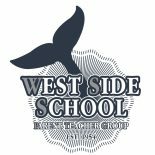 Parents are invited to sign up for recess at West Side. Come during your childʼs recess time and form teams and get them involved in an organized game of soccer, basketball, tag or jump rope. contact Lauren Jasinski at WestSideRecess@gmail.com. Volunteers must attend a brief committee meeting on October 16th at 9am prior to the PTG meeting.